Grab this rare opportunity to become a prestigious Red Hat certified Architect while learning to design, deploy and manage shared storage and server clusters providing high-available network services through a course equipped with intense lab based activities to prepare you for the Red Hat Certificate of Expertise in High Availability Clustering Exam (EX436). A highly qualified Red Hat Certified Architect from RedHat- India will conduct the course. He will be joined by the lead RedHat Trainer at PACE - Rohan de Silva RHCA, RHCI, RHCDS, RHCE, RHCVA in lecturing and training for the course. Venue: PACE Institute - Pannipitiya from December 14 - 17, 2015. Why Redhat High Availability Clustering? Red Hat Cluster Suite is the industry proven and most widely used open source cluster suite in the world for all demanding requirements performance, high-availability, load balancing, scalability, file sharing, and economy. A RH436 certification opens many global career opportunities to its holders and is one of the most sought after certifications in IT. Senior Linux system administrators familiar with fault-tolerant shared storage technologies. Prerequisites: It helps if you have earned your RHCE® certification. If not you can confirm that you have the necessary knowledge by passing the online skills assessment to follow the course without taking the exam (EX436). Clusters and storage - Get an overview of storage and cluster technologies. Create high-availability clusters. 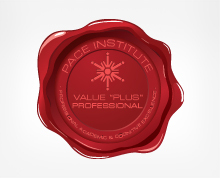 - Review and create the architecture of Pacemaker-based high-availability clusters. Nodes and quorum - Review cluster node membership and how quorum is used to control clusters. Fencing - Understand fencing and fencing configuration. Resource groups - Create and configure simple resource groups to provide high-availability services to clients. Troubleshoot high-availability clusters - Identify and troubleshoot cluster problems. Complex resource groups - Control complex resource groups by using constraints. Two-node clusters - Identify and work around two-node clusters issues. ISCSI initiators - Manage iSCSI initiators for access to shared storage. Multipath Storage - Configure redundant storage access. Logical volume manager (LVM) clusters - Manage clustered LV. Global File System 2 - Create symmetric shared file systems. Eliminate single points of failure - Eliminate single points of failure to increase service availability. Comprehensive review - Set up high-availability services and storage. 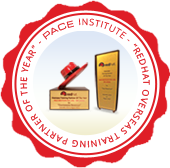 PACE Institute is proud to be honoured with ‘RedHat Overseas Training Partner of the Year’ Award in two catagories for the year 2014/ 2015 at the 2015 RedHat Training Partner Conference held at Vivanta by Taj, Hari Mahal in Jodhpur, Rajasthan from November 4 - 6 2015. Examination Date: Red Hat Certificate of Expertise in High Availability Clustering exam (EX436) will be held during the next redhat exam series at PACE Institute. Only a few seats are available. Hurry now to reserve your complimentary seat.